I got a note from Ken Rose, owner of Tiburon Fine Dining in Sandy, saying that the end of September marks the 10th anniversary of his restaurant’s opening. To celebrate, Ken and the Tiburon staff are hosting a party in the restaurant’s parking lot on Saturday, Sept. 26, from 6-10 p.m. In addition to a big buffet dinner (pork tenderloin, salmon, chicken, pasta salad, veggies, desserts, etc. ), Ken has hired the band Voodoo Box to play live during the party and the event will also feature Tiburon’s annual limbo contest. (Apparently a Tiburon employee named John has won the contest for nine years straight.) The cost for the Tiburon 10th Anniversary Parking Lot Party is $30 per person (which includes a commemorative T-shirt) and $10 for kids under 12. 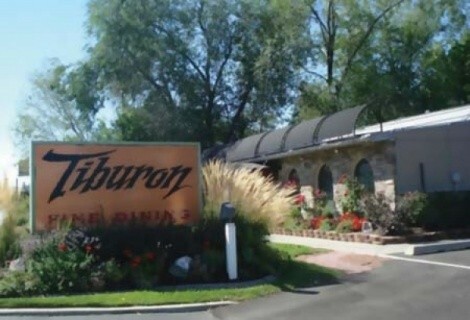 Tiburon is located in Sandy at 8256 S. 700 East. Phone the restaurant at 801-255- 1200 or visit online at TiburonSLC.com. Holy smokes! The Wing Coop won second place in the “Best Traditional Hot” category at the 2009 National Buffalo Wing Festival held in Buffalo, N.Y. this past Labor Day weekend. Competing against more than 25 other restaurants, The Wing Coop was the only one west of the Mississippi to win an award. For more Wing Coop info, including locations, visit WingCoop.com. Mandarin restaurant in Bountiful will be closed through Oct. 11, but will reopen with a bang on Monday, Oct. 12 with Woktoberfest, a “celebration of small plates and cold brews.” On weekdays from Oct. 12-22, Mandarin’s Woktoberfest will feature small plates such as char shu barbecue pork, satay chicken skewers, eggplant with garlic sauce, Singapore noodles, Mongolian pork with Chinese sausage, and pepper scallops, all paired with locally-brewed beer from brewers like Uinta and Squatters. Woktoberfest menu prices will run from $1.49 to $7.99. Mandarin is located at 348 E. 900 North in Bountiful. Visit its Website at MandarinUtah.com or phone 801-298- 2406 for more information.